Medical marijuana growers throughout Maryland are putting the finishing touches on their multi million-dollar greenhouses, and after 4 years of waiting some are prepared to start planting or processing powerful strands of pot within a matter of weeks. 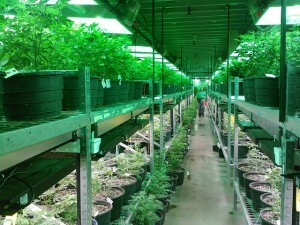 But enthusiasm within the walls of the 23 state licensed grow and processing facilities is somewhat tempered as numerous impediments to commencing operations remain. The latest impediment comes in the form of an emergency motion filed in the Circuit Court for Baltimore City, which requests a judge to issue a temporary restraining order preventing the state cannabis commission from issuing final grow licenses. One of the companies that did not receive a preliminary grow license filed the motion on the grounds that the commission ignored a portion of the law that requires actively seeking racial and ethnic diversity throughout the licensing process. Lawyers learned of this omission during ongoing depositions as part of the discovery process of pending litigation against the state. This request for a temporary restraining order comes on the heels of the governor issuing an executive order requesting a study whether minority companies face disadvantages in the medical marijuana industry. In addition, it still remains a possibility that lawmakers may be recalled to Annapolis for a special legislative session to address racial diversity concerns with respect to the 15 awarded grow licenses. As if the restraining order motion and the governor’s inquiry into the fairness of the process weren’t enough, the Maryland Medical Cannabis Commission is now under fire for possibly circumventing public contract bidding regulations. State officials with the Office of Legislative Audits have been critical of how the commission awarded the contract to evaluate grower and distributor licenses to an economic studies group at Towson University. It turns out that Towson charged 60 percent more per application that had originally been budgeted for, and the price to review the 512 applications came to a whopping $2.6 million. Auditors clearly believe that the commission spent too much of the state’s money, and it probably did. However at the time the commission was severely inexperienced and underfunded, and ill equipped to handle hundreds more applications than expected. There was understandably tons of pressure to get the straggling medical marijuana program off the ground, and the commission likely made a decision to have the applications reviewed by a competent institution as quickly as possible. Towson has yet to receive payment on the $2.6 million bill but they are expecting the state to pick up the entire tab. The bottom line is that the university did the work and whatever excess costs were incurred should really be attributed to lawmakers. The process to evaluate and rank the applications was extremely complicated, and placing an arbitrary limit of 15 licenses was short sighted and illogical. In addition, the commission was not afforded adequate resources to do its job, as commissioners were volunteers from the state who did not receive specialized training. Taxpayers would have been better served by a commission made up of a paid, full-time staff with experience implementing one of the many medical marijuana programs in the country. The Blog will continue to follow any progress, and we are cautiously optimistic that patients will begin to have access to medical pot by the fall. Stay tuned for further updates on the pending litigation and possible special legislative session. If you have a question about a current criminal case or you or a family member needs representation contact attorney Benjamin Herbst at 410-207-2598. 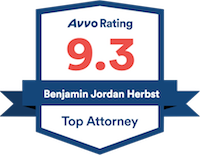 Benjamin handles all state and federal criminal charges for juveniles and adults including drug possession, alcohol related offenses and domestic crimes.